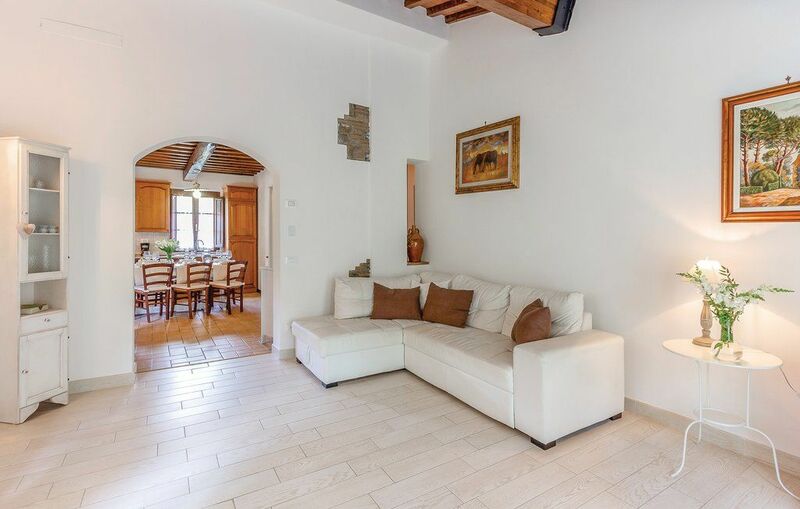 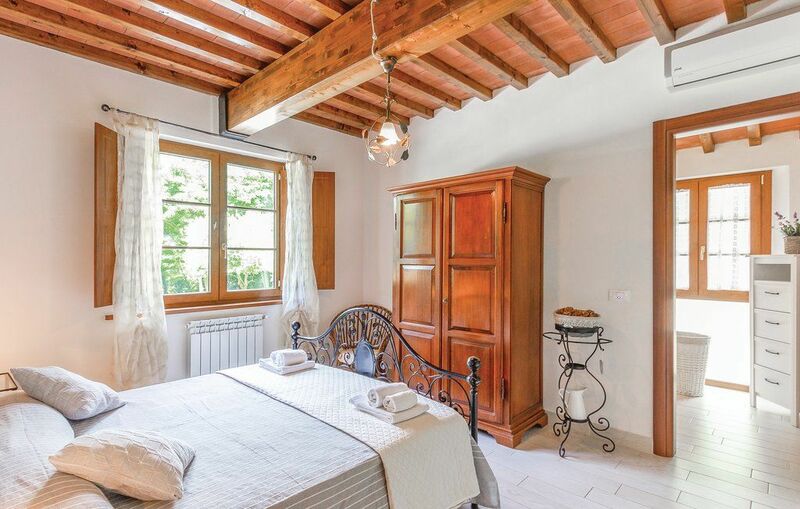 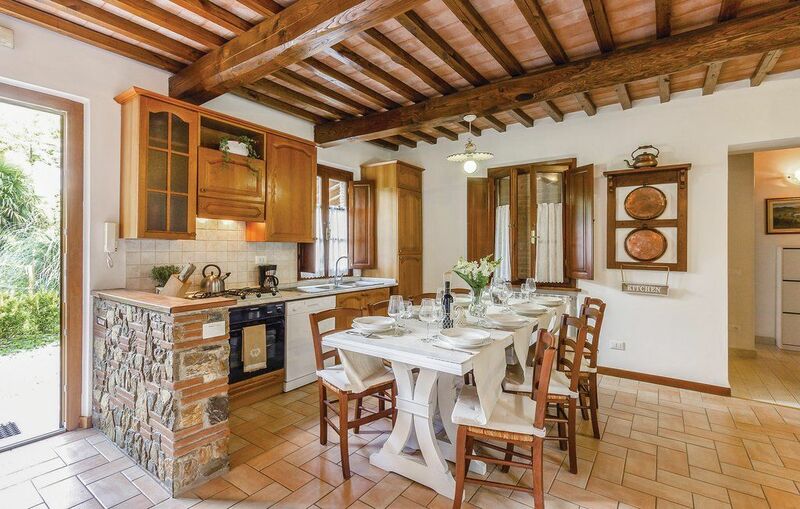 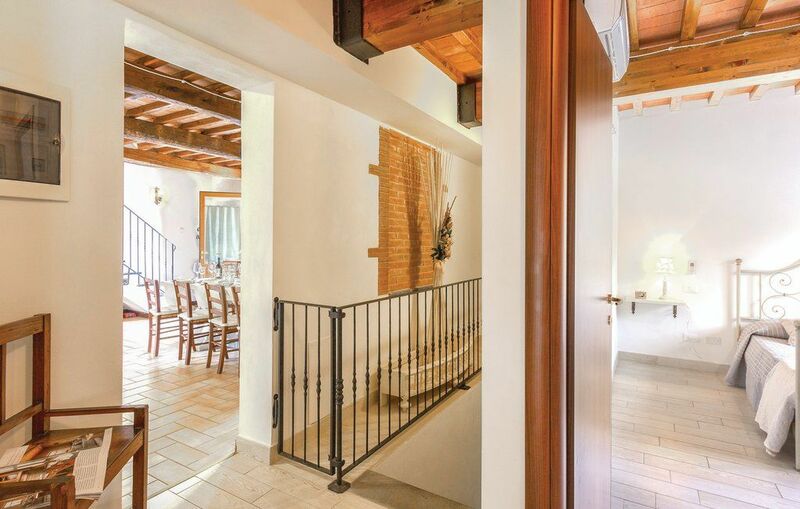 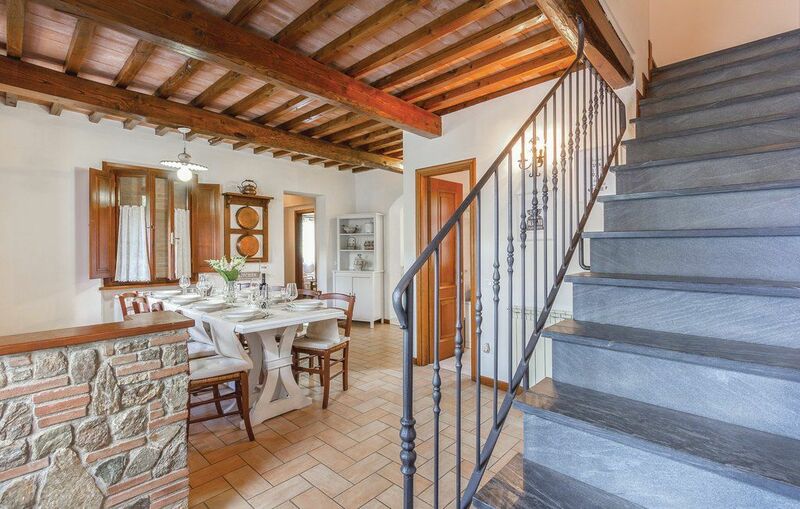 A Tuscan country style property which has been completely restored to offer spacious and comfortable accommodation. 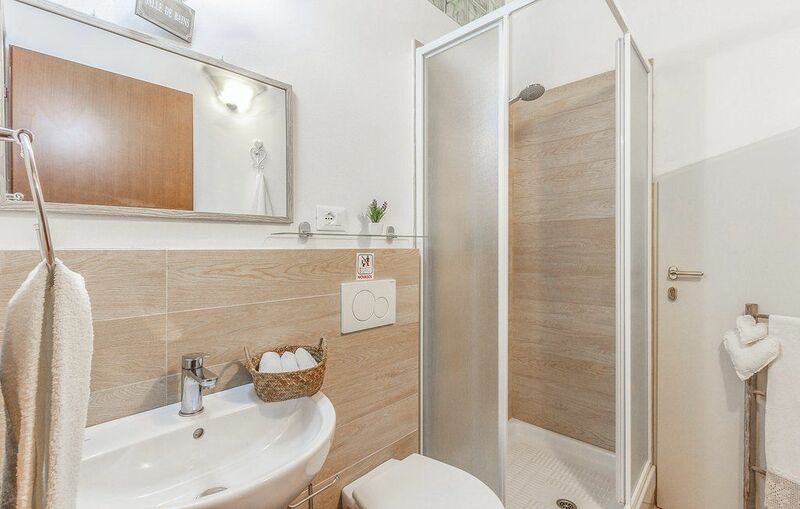 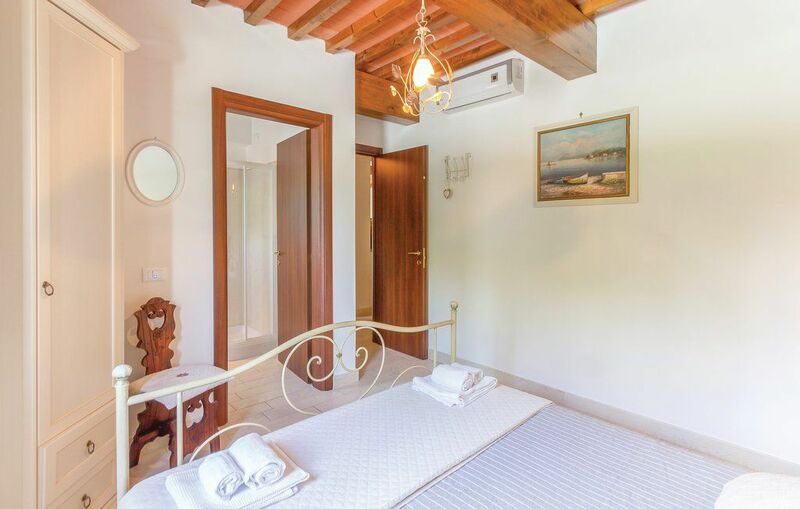 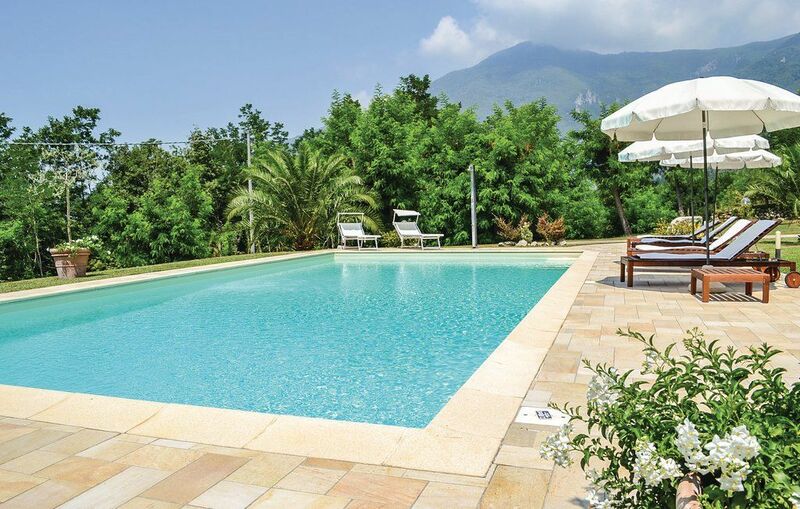 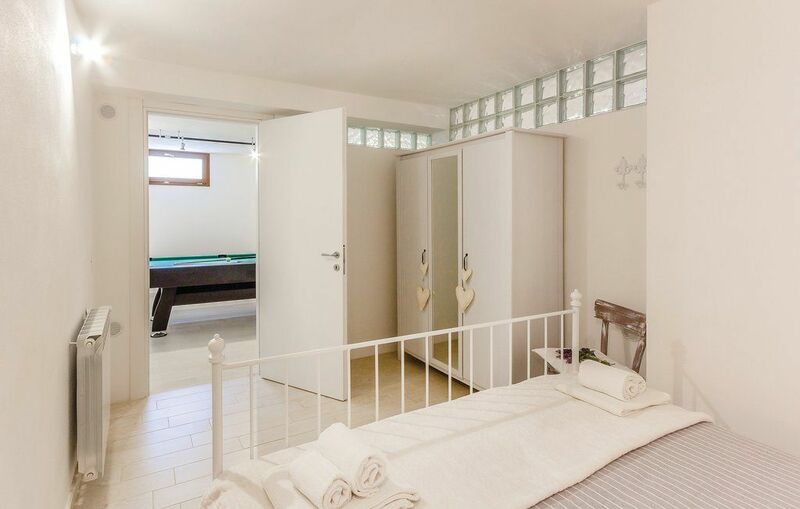 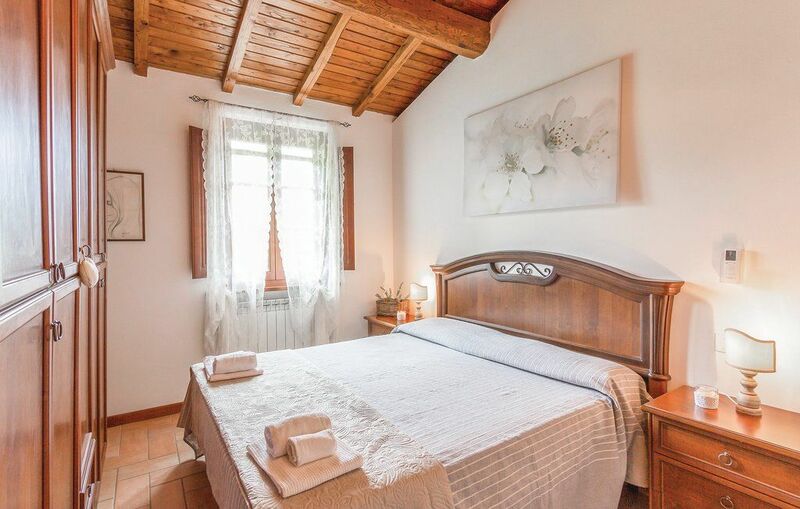 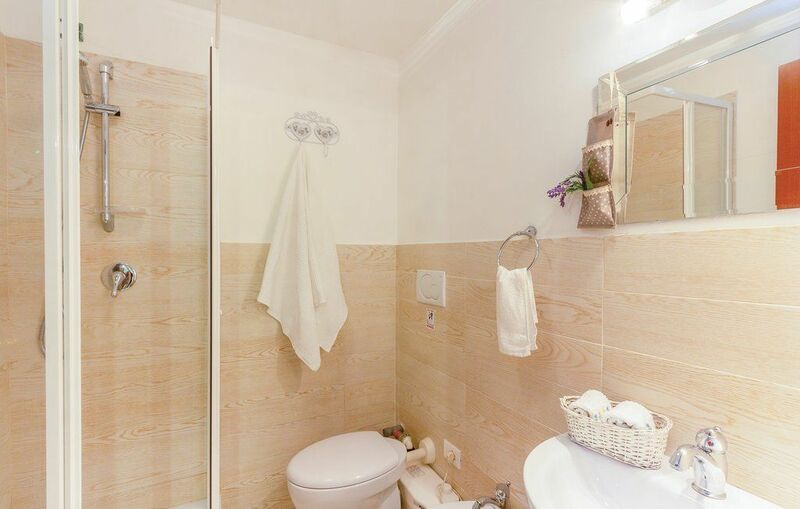 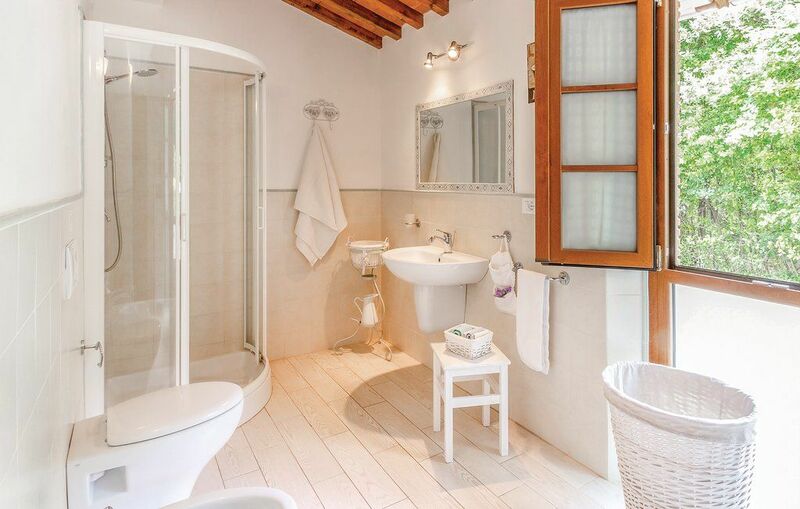 Situated in a tranquil location only 2 Km from Camaiore old town and 10 Km from Tuscany's golden beaches. 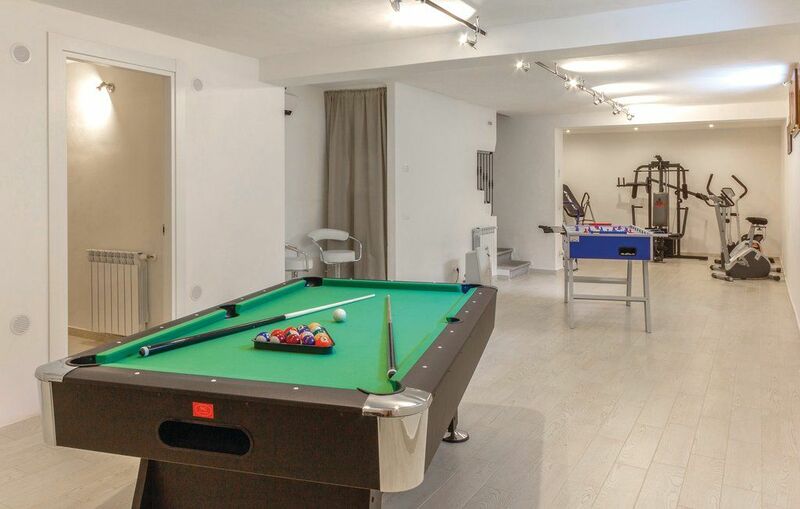 Large lawned area, beautiful swimming pool, table tennis, dishwasher, outside BBQ area and gym. 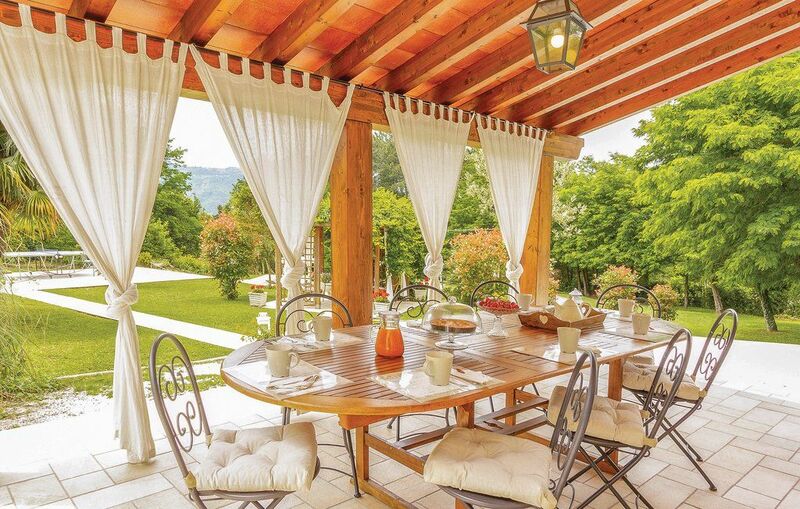 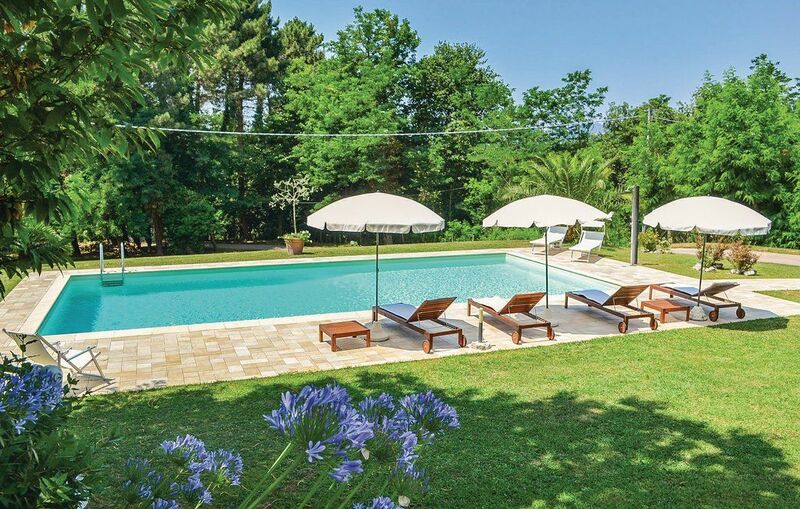 Villa Luiza offers lovely views of the surrounding countryside and woods. 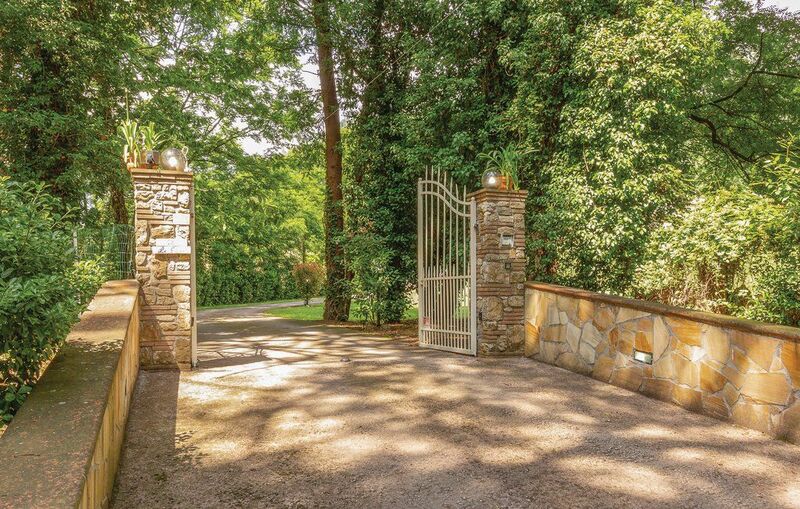 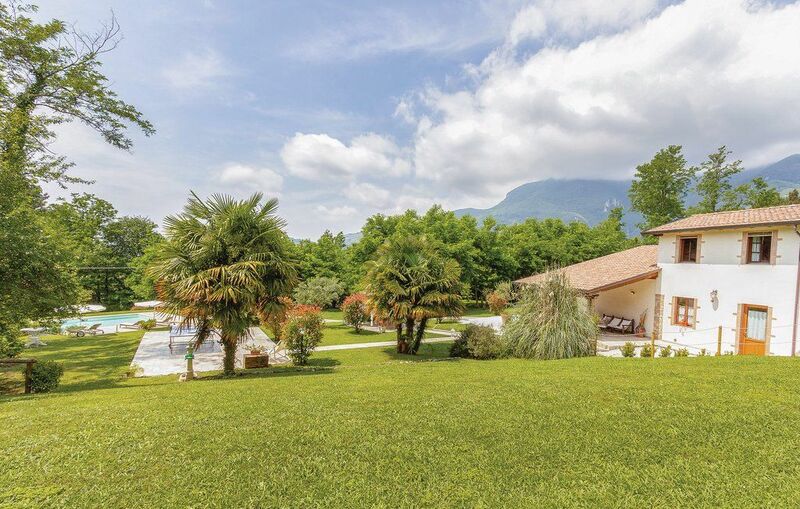 Golf, tennis and horse-riding all within easy reach. 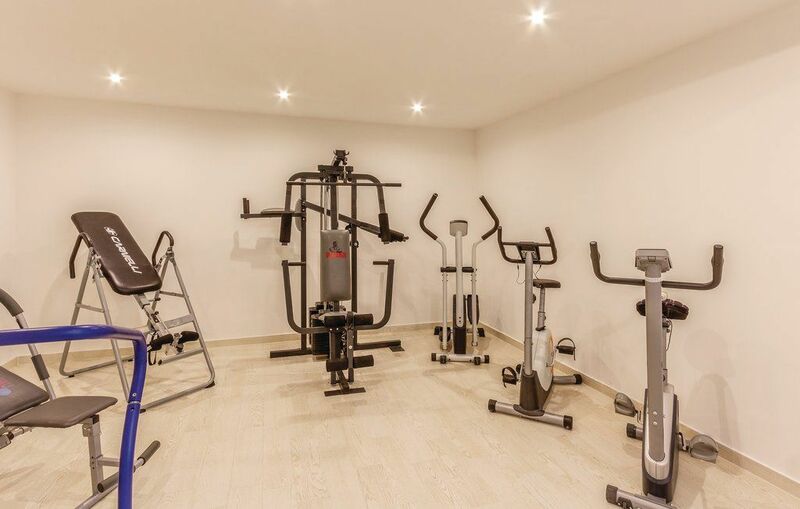 There are 5 bedrooms and four bathrooms - spacious living areas and a gym for those who prefer to keep up with their routing on holiday! 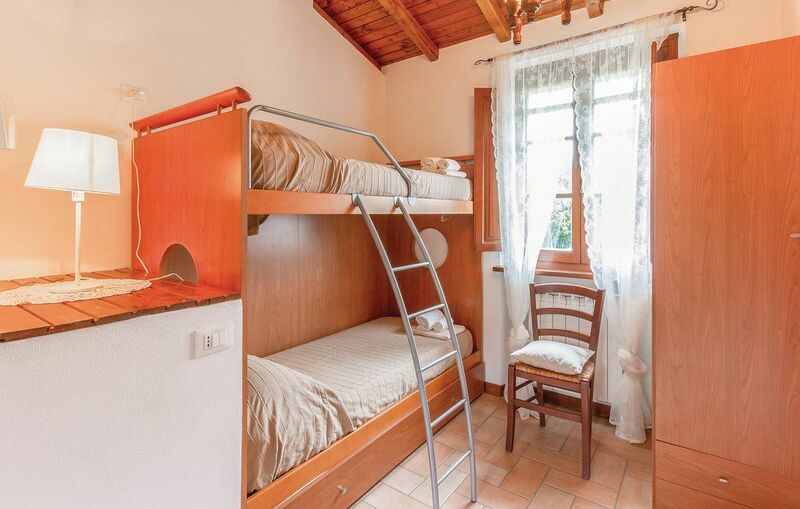 Two of the bedrooms (ground floor) have air-conditioning and a dishwasher aswell as satellite TV. 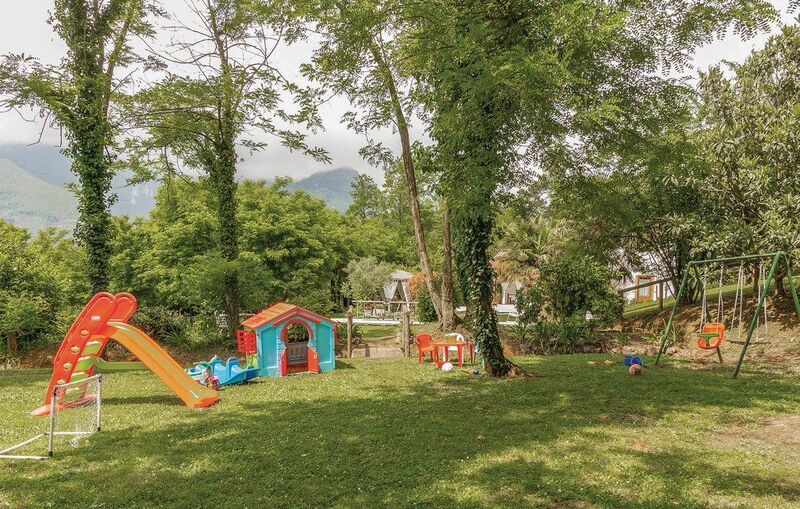 Large lawned area ideal for children to play and an outside BBQ area with covered loggia - perfect for dining 'al fresco'. 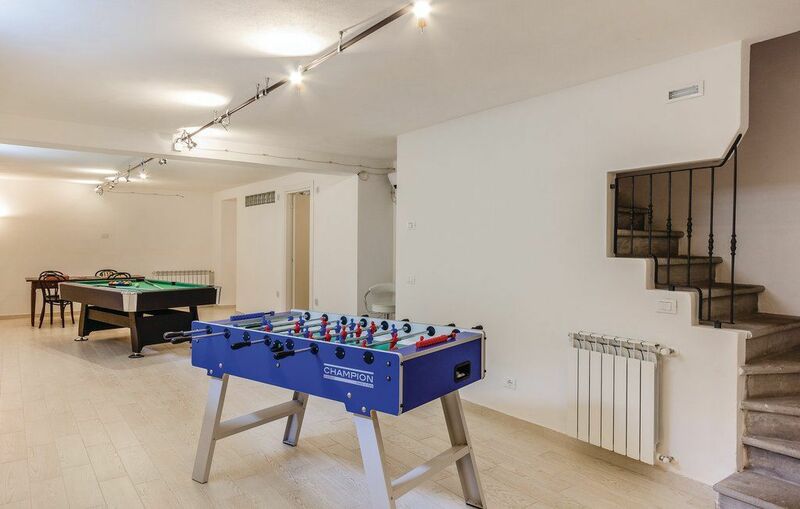 The table tennis facility provides fun for all ages. 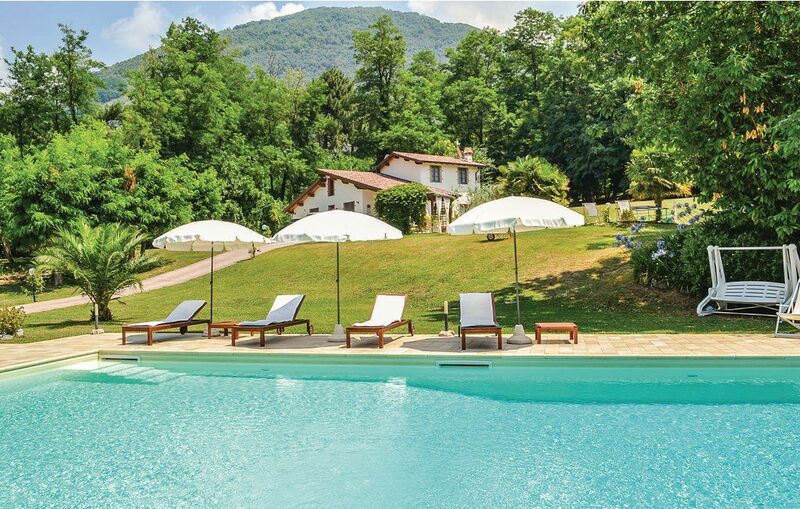 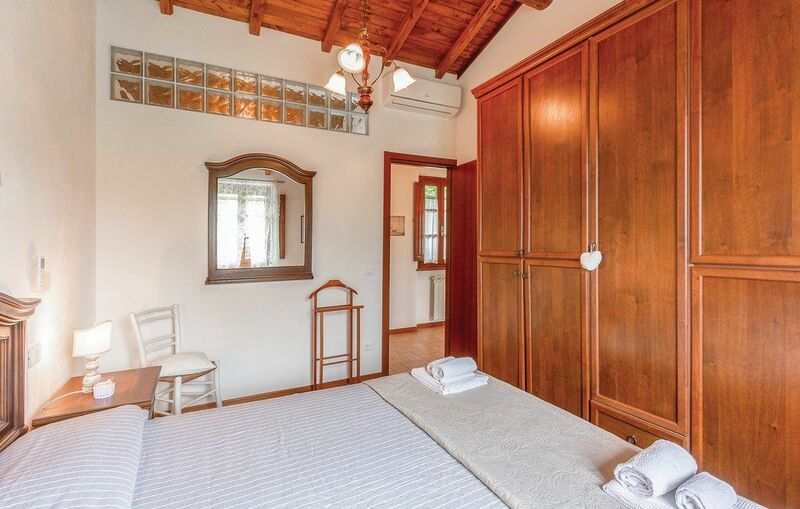 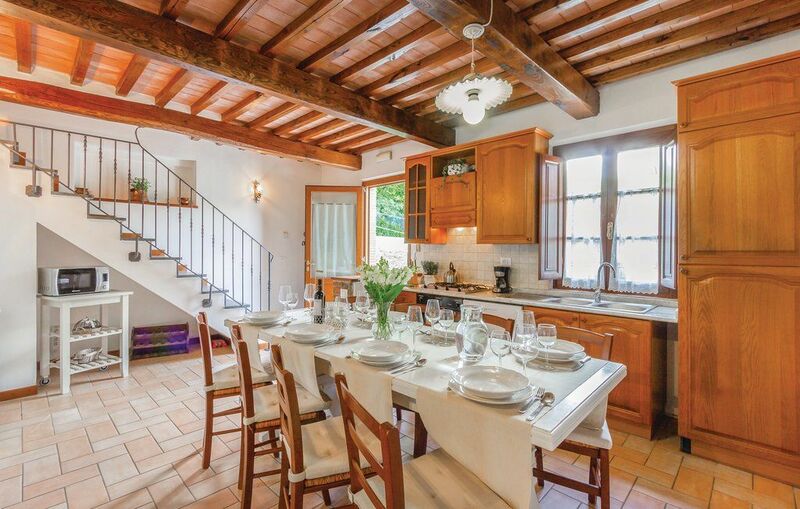 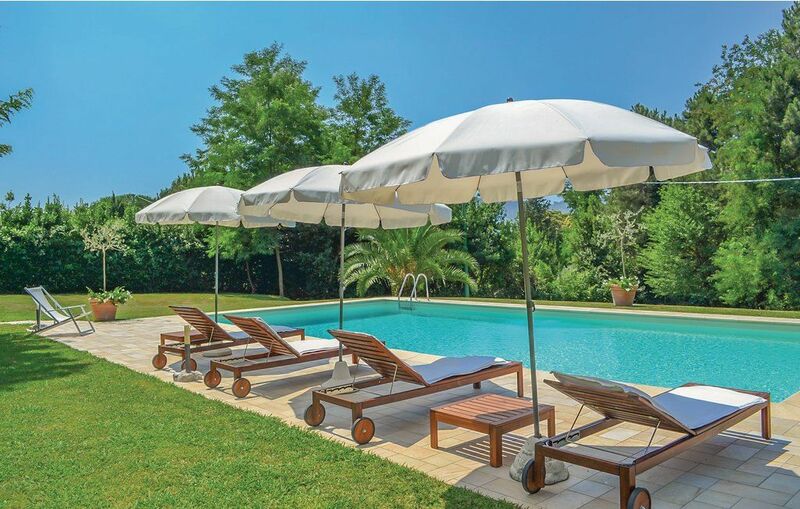 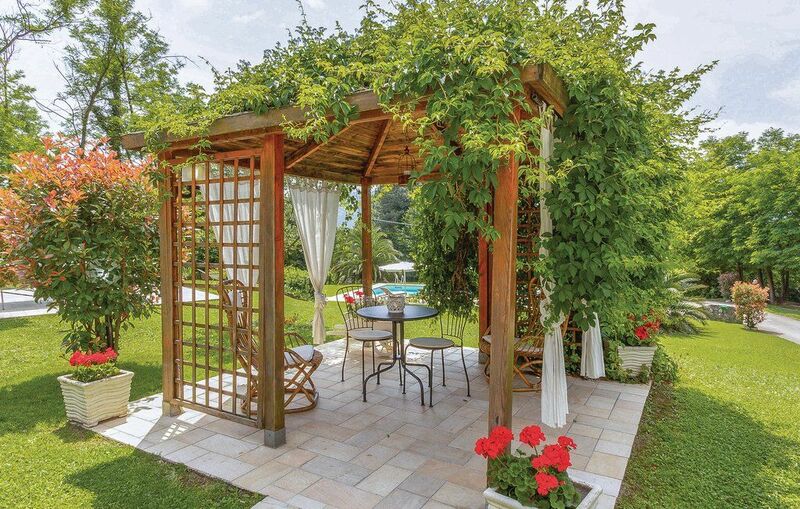 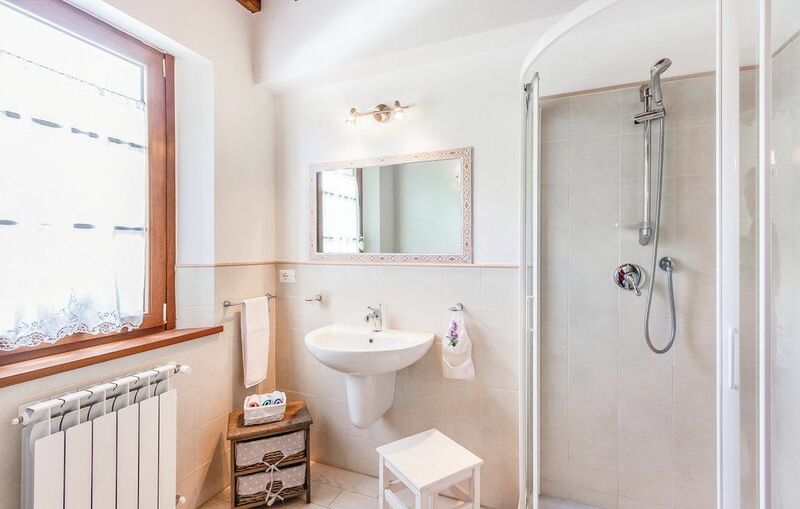 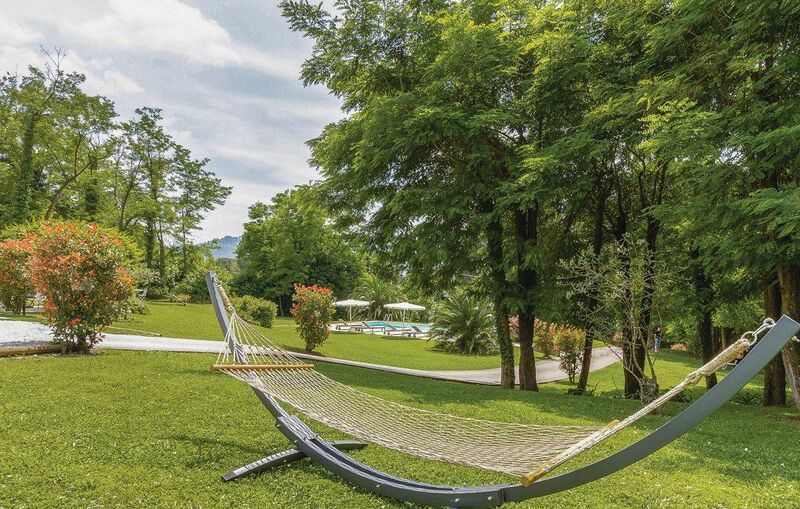 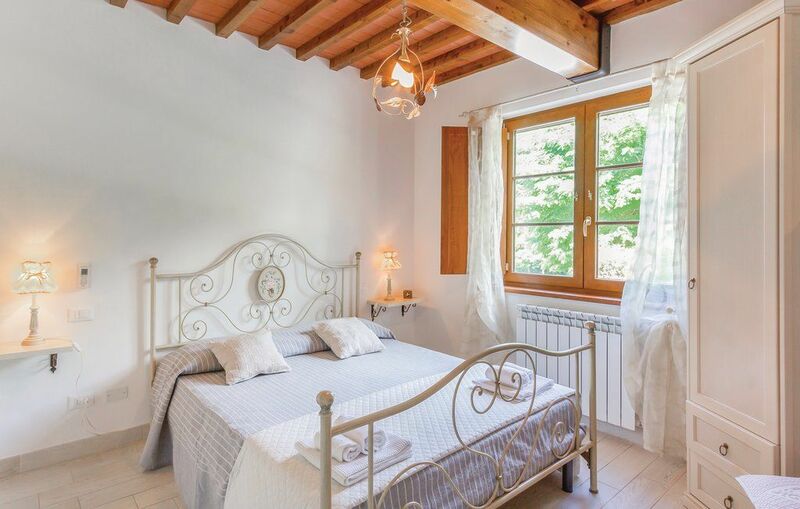 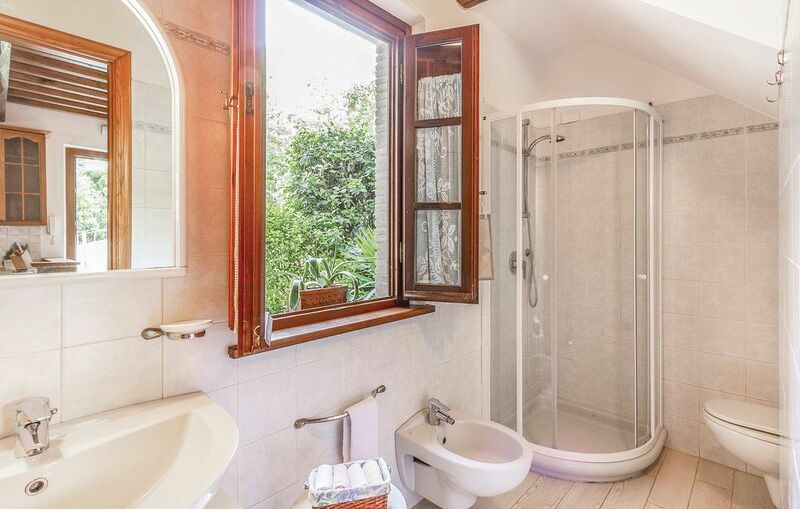 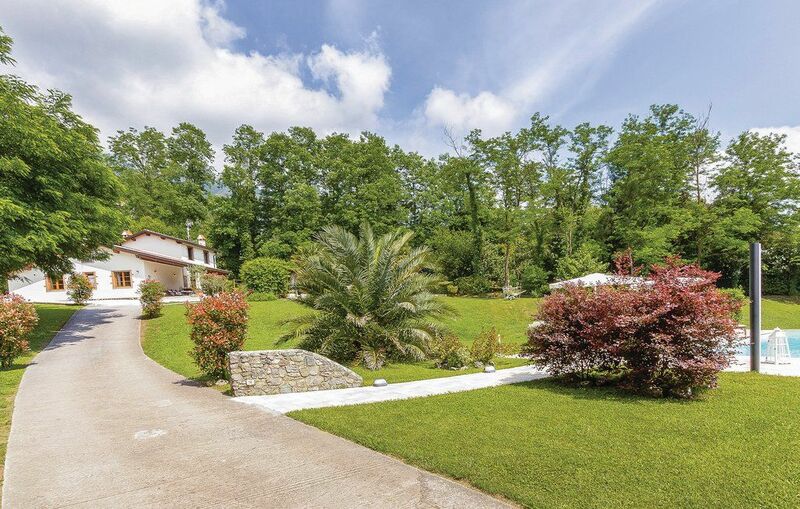 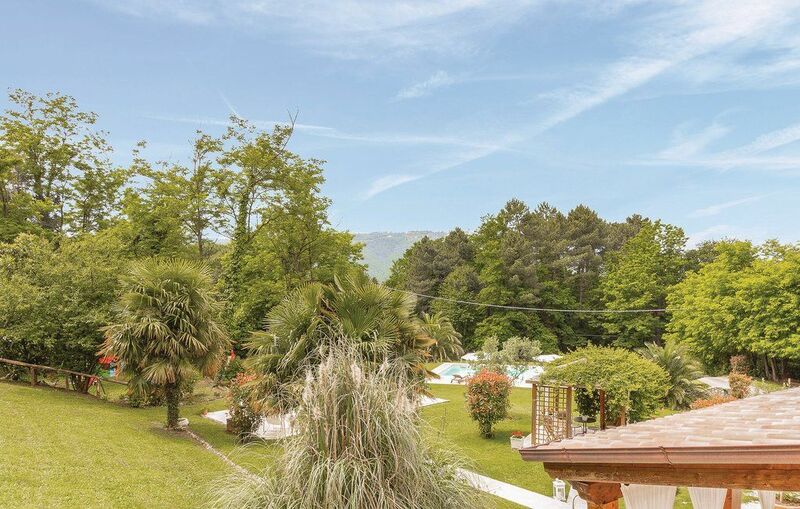 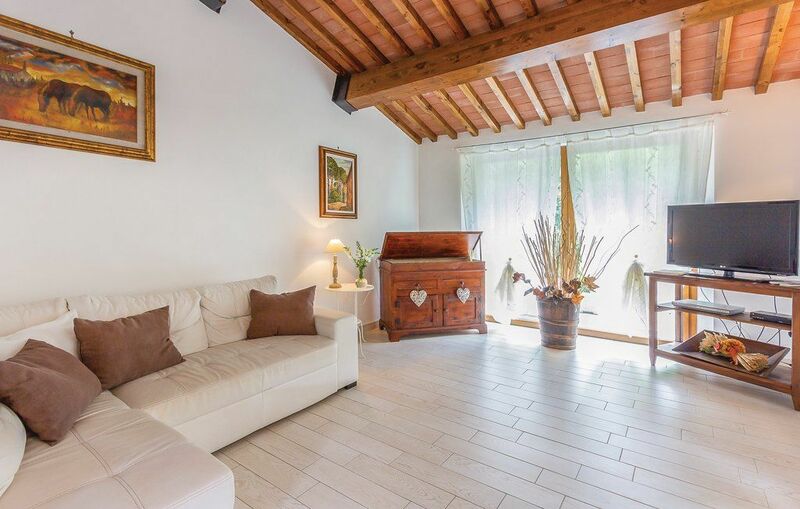 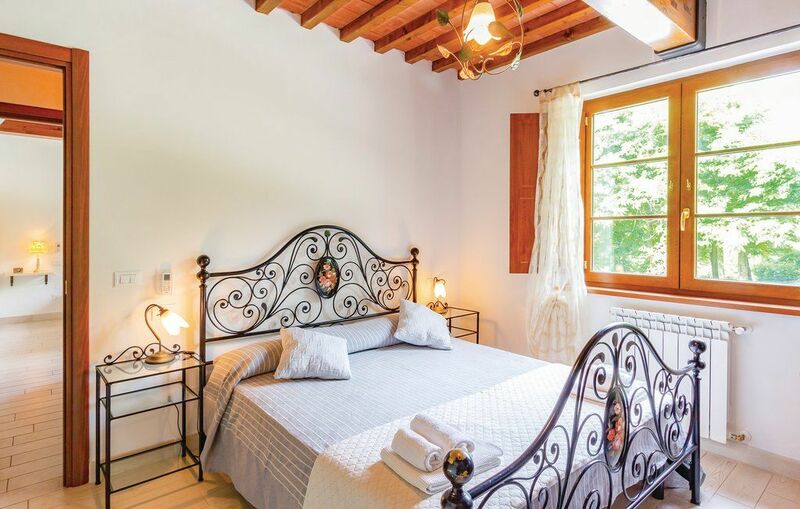 Villa Luiza is ideal for those looking for a relaxing villa holiday immersed in greenery and nature yet within easy reach of some wonderful towns and cities such as Pietrasanta, Camaiore, Lucca, Pisa and even Florence. 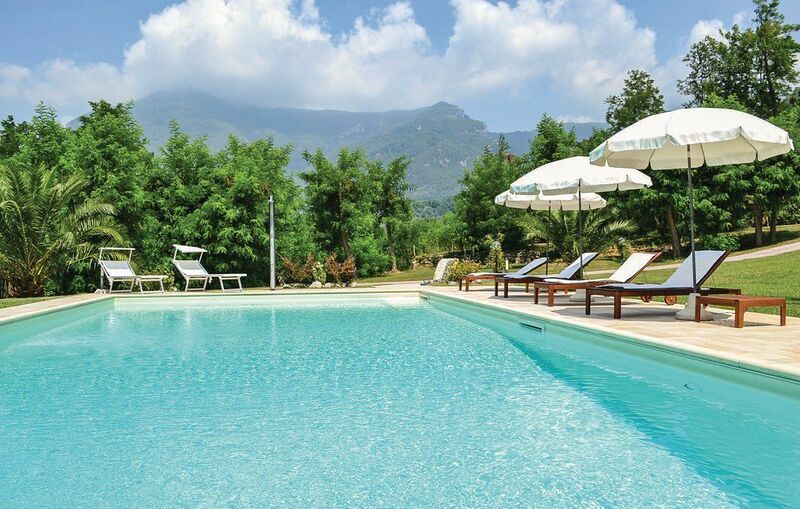 Horseriding within 4 Km and Tuscany's golden beaches are only 10Km away too! 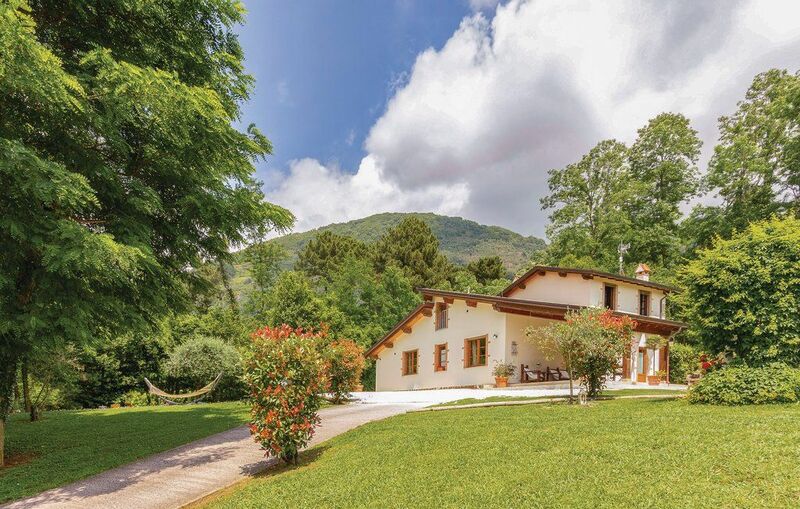 We recommend a trip to 'Pietrasanta - city of art and artists' and 'Carrara' in the Apuan Alps, where you can visit the famous marble quarries. 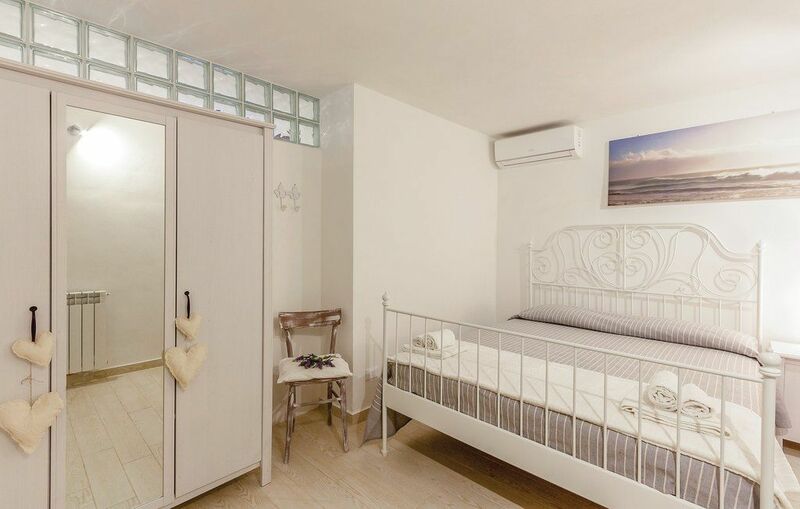 Cot is available upon request.